According to the twitter account of the Priamyj TV channel, the first photos of the prisoners’ exchange in the outskirts of Horlivka near Mayorske checkpoint had been posted by Priamyj channel. Everyone who wanted to meet the liberated soldiers in Kyiv, went to the "Boryspil" military airfield on December 27. Some are organized independently, for the rest, free buses ran from the "Borispilska" metro station in the context of the "Meet your people" action. “First of all, you should dress warmly. This is not a terminal with a VIP-zone and coffee for one hundred hryvnia per cup. Therefore, take your thermoses with hot tea, and also - flags, balls, flowers and posters, if you want. This is an incredible holiday for people, their second birth,” Yuriy Gudimenko, one of the initiators of the action said. 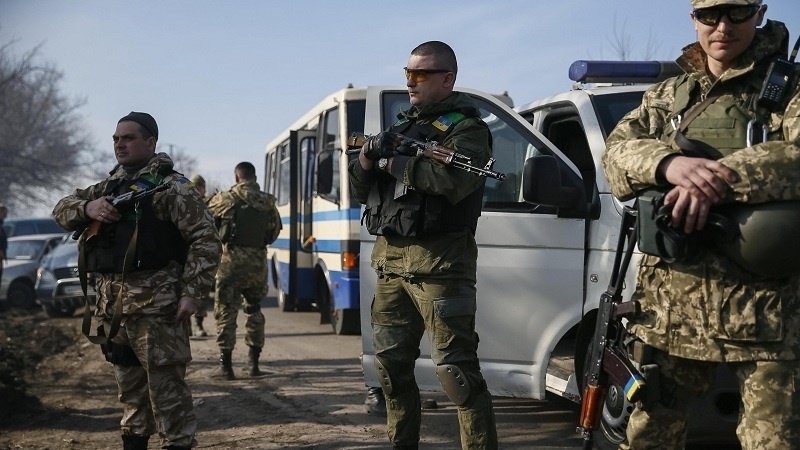 Earlier, the "DPR" group accused the Ukrainian side of delaying the exchange of prisoners. They claimed that "the transport continues to move from the side of the territory controlled by Kyiv" because of which the members of the group and the prisoners "are forced to stay at the rally point and wait for the end of the traffic flow". Previously, separatist media outlets reported that a column with Ukrainian prisoners from the self-proclaimed "LPR" arrived to Horlivka. "Mayorske" checkpoint this is where in the outskirts of the city, the exchange of prisoners took place. QHA reported that the militants of the "LPR" terrorist group had withdrawn Ukrainian prisoners from the colony and sent them for exchange. Earlier, the "LPR" fighters took Ukrainians, who were being held captive, to the place where the prisoners will be exchanged. The terrorist-controlled media noted that one of the Ukrainian prisoners stated his intention to continue serving in the Armed Forces of Ukraine. During a meeting with relatives of Ukrainian hostages, the President of Ukraine Petro Poroshenko said that nothing is more important than bringing Ukrainian warriors home. Poroshenko stressed that in recent days the work to prepare for release continued in the mode of 24 hours a day in order to apply all the necessary legal mechanisms for its implementation. Previously, the leader of the DPR pro-Russian terrorists Aleksandr Zakharchenko said that he had "pardoned" the Ukrainian hostages, which are to be exchanged on December 27.